Did you know studies show that more than 80% of Americas population do not attend church on a regular bases. In a study done by a leading Christian research team, unchurched people were ask why they never or rarely attended church? 64% said that no one had ever ask them, and of that 64% more than half said “if a friend were to invite them they would go to church”. A large percent of people said they would like it if someone would take to them about spiritual things. One of the greatest secrets in the world is the truth of Jesus Christ. The one thing that should not be a secret is just that because the church is not sharing the message of Jesus. Many times we come to church and we go through all the motions of worship and then leave the church only to be silent about who Jesus is and what he is doing in our lives. We might put a scripture up on Facebook from time to time but we never take the time to share the gospel with people in this world. We think about doing more after hearing the preacher tell us we need to but then that fades away as soon as Sunday dinner comes to the table. The truth is that we the church need to Reveal the Secret and let the world know that Jesus is alive and well. We need to share our faith and invite people to the house of God. There is a world that needs Jesus and we have to be the ones that is sharing with them. 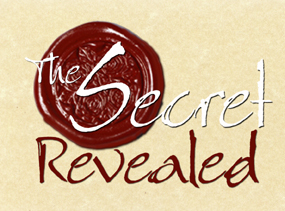 So go our and Reveal the Secret that Jesus Saves.